We are now in a small town in a narrow valley. There is no vegetation, no livestock, no gardens, no rivers. Desert after desert separates the town from the rest of the world. During the day the heat of the sun is unbearable and the nights are still and lonely. Tribes flock to it like animals. No government rules. There is no religion to guide people except one which promotes the worship of stone idols. There is no knowledge except priestcraft and a love for elegant poetry. This is Makkah and these are the Arabs. In this town lies a young man who has not yet seen twenty summers. He is short and well-built and has a very heavy crop of hair. People compare him to a young lion. He comes from a rich and noble family. He is very attached to his parents and is particularly fond of his mother. He spends much of his time making and repairing bows and arrows and practising archery as if preparing himself for some great encounter. People recognize him as a serious and intelligent young man. He finds no satisfaction in the religion and way of life of his people, their corrupt beliefs and disagreeable practices. His name is Sa'd ibn Abi Waqqaas. One morning at about this time in his life the genial Abu Bakr came up and spoke softly to him. He explained that Muhammad ibn Abdullah, the son of his late cousin Aminah bint Wahb had been given Revelations and sent with the religion of guidance and truth. Abu Bakr then took him to Muhammad in one of the valleys of Makkah. It was late afternoon by this time and the Prophet had just prayed Salat al-'Asr. Sa'd was excited and overwhelmed and responded readily to the invitation to truth and the religion of One God. The fact that he was one of the first persons to accept Islaam was something that pleased him greatly. The Prophet, peace be on him, was also greatly pleased when Sa'd became a Muslim. He saw in him signs of excellence. The fact that he was still in his youth promised great things to come. It was as if this glowing crescent would become a shining full moon before long. Perhaps other young people of Makkah would follow his example, including some of his relations. For Sa'd ibn Abi Waqqas was in fact a maternal uncle of the Prophet since he belonged to the Bani Zuhrah, the clan of Aminah bint Wahb, the mother of the Prophet, peace be upon him. For this reason he is sometimes referred to as Sa'd of Zuhrah, to distinguish him from several others whose first name was Sa'd. The Prophet is reported to have been pleased with his family relationship to Sa'd. Once as he was sitting with his companions, he saw Sa'd approaching and he said to them: "This is my maternal uncle. Let a man see his maternal uncle!" When she saw that I was determined she relented unwillingly and ate and drank." "And we enjoined on man (to be good) to his parents. In pain upon pain did his mother bear him and his weaning took two years. So show gratitude to Me and to your parents. To Me is the final destiny. But if they strive to make you join in worship with Me things of which you have no knowledge, obey them not. Yet bear them company in this life with justice and consideration and follow the way of those who turn to Me. In the end, the return of you all is to Me and I shall tell you (the truth and meaning of) all that you used to do." (Surah Luqman, 31: 14-15). In these early days of Islaam, the Muslims were careful not to arouse the sensibilities of the Quraysh. They would often go out together in groups to the glens outside Makkah where they could pray together without being seen. But one day a number of idolaters came upon them while they were praying and rudely interrupted them with ridicule. The Muslims felt they could not suffer these indignities passively and they came to blows with the idolaters. Sa'd ibn Abi Waqqaas struck one of the disbelievers with the jawbone of a camel and wounded him. This was the first blood shed in the conflict between Islaam and kufr - a conflict that was later to escalate and test the patience and courage of the Muslims. More than a decade later when permission was given for the Muslims to fight. Sa'd ibn Abi Waqqas was to play a distinguished role in many of the engagements that took place both during the time of the Prophet and after. He fought at Badr together with his young brother 'Umayr who had cried to be allowed to accompany the Muslim army for he was only in his early teens. Sa'd returned to Madinah alone for 'Umayr was one of the fourteen Muslim martyrs who fell in the battle. At the Battle of Uhud, Sa'd was specially chosen as one of the best archers together with Zayd, Saib the son of 'Uthman ibn Mazun and others. Sa'd was one of those who fought vigorously in defence of the Prophet after some Muslims had deserted their positions. To urge him on, the Prophet, peace be on him, said: "Irmi Sa'd...Fidaaka Abi wa Ummi (Shoot, Sad ...may my mother and father be your ransom)." Of this occasion, 'Ali ibn Abi Talib said that he had not yet heard the Prophet, peace be on him, promising such a ransom to anyone except Sa'd. Sa'd is also known as the first companion to have shot an arrow in defence of Islaam. And the Prophet once prayed for him: "O Lord, direct his shooting and respond to his prayer." and the Prophet again said 'no'. "Yes," said the Prophet. "The third is much. Indeed to leave your heirs well-off is better than that you should leave them dependent on and to beg from people. If you spend anything seeking to gain thereby the pleasure of God, you will be rewarded for it even if it is a morsel which you place in your wife's mouth." Sa'd did not remain the father of just one child but was blessed thereafter with many children. Sa'd is mainly renowned as the commander-in-chief of the strong Muslim army which 'Umar despatched to confront the Persians at Qaadisiyyah. 'Umar wanted nothing less than an end to Sasanian power which for centuries had dominated the region. To confront the numerous and well-equipped Persians was a most daunting task. The most powerful force had to be mustered. 'Umar sent despatches to Muslim governors throughout the state to mobilize all able-bodied persons who had weapons or mounts, or who had talents of oratory and other skills to place at the service of the battle. "You have chosen well! Who is there like Sa'd?" "O Sa'd! Let not any statement that you are the uncle of the Messenger of God or that you are the companion of the Messenger of God distract you from God. God Almighty does not obliterate evil with evil but he wipes out evil with good. O Sa'd! There is no connection between God and anyone except obedience to Him. In the sight of God all people whether nobleman or commoner are the same. Allah is their Lord and they are His servants seeking elevation through taqwaa and seeking to obtain what is with God through obedience. Consider how the Messenger of God used to act with the Muslims and act accordingly..."
'Umar thus made it clear that the army was not to seek conquest for the sake of it and that the expedition was not for seeking personal glory and fame. The three thousand strong army set off. Among them were ninety nine veterans of Badr, more than three hundred of those who took the Pledge of Ridhwaan (Satisfaction) at Hudaybiyyah and three hundred of those who had participated in the liberation of Makkah with the noble Prophet. There were seven hundred sons of the companions. Thousands of women also went on to battle as auxiliaries and nurses and to urge the men on to battle. The army camped at Qaadisiyyah near Hira. Against them the Persians had mobilized a force of 12O,OOO men under the leadership of their most brilliant commander, Rustum. Sa'd understood well the gravity of the impending battle and kept in close contact with the military high command in Madinah. Although commander-in-chief, he understood the importance of shoora (council). Sa'd did as 'Umar instructed and sent delegations of Muslims first to Yazdagird and then to Rustum, inviting them to accept Islaam or to pay the jizyah to guarantee their protection and peaceful existence or to choose war if they so desired. "Rubiy! What do you want from us? If you want wealth we would give you. We would provide you with provisions until you are sated. We would clothe you. We would make you become rich and happy. Look, Rubiy! What do you see in this assembly of mine? No doubt you see signs of richness and luxury, these lush carpets, fine curtains, gold embroidered wails, carpets of silk...Do you have any desire that we should bestow some of these riches which we have on you?" "Listen, O commander! Certainly God has chosen us that through us those of His creation whom He so desires could be drawn away from the worship of idols to Tawheed (the affirmation of the unity of God), from the narrow confines of preoccupation with this world to its boundless expanse and from the tyranny of rulers to justice of Islaam. Whoever accepts that from us we are prepared to welcome him. And whoever fights us, we would fight him until the promise of God comes to pass." The Muslim delegation returned to their commander-in-chief. It was clear that war was now inevitable. Sa'd's eyes filled with tears. He wished that the battle could be delayed a little or indeed that it might have been somewhat earlier. For on this particular day he was seriously ill and could hardly move. He was suffering from sciatica and he could not even sit upright for the pain. 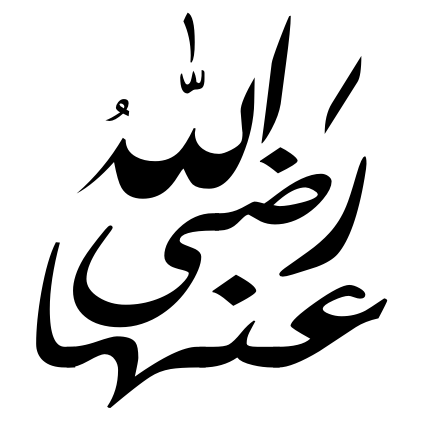 "Hayya' ala barakatillah (Charge, with the blessings of God)." Standing in front of his tent, Sa'd directed his soldiers and spurred them on with shouts of Allaahu Akbar (God is Most Great) and Laa hawla wa laa quwwata illaa billah (there is no power or might save with God). For four days the battle raged. The Muslims displayed valor and skill. But a Persian elephant corps wrought havoc in the ranks of the Muslims. The ferocious battle was only resolved when several renowned Muslim warriors made a rush in the direction of the Persian commander. A storm arose and the canopy of Rustam was blown into the river. As he tried to flee he was detected and slain. Complete confusion reigned among the Persians and they fled in disarray. Just how ferocious the battle was can be imagined when it is known that some thirty thousand persons on both sides fell in the course of four days fighting. In one day alone, some two thousand Muslims and about ten thousand Persians lost their lives. The Battle of Qaadisiyyah is one of the major decisive battles of world history. It sealed the fate of the Sasanian Empire just as the Battle of Yarmuk had sealed the fate of the Byzantine Empire in the east. Two years after Qaadisiyyah, Sa'd went on to take the Sasanian capital. By then he had recovered his health. The taking of Ctesiphon was accomplished after a brilliant crossing of the Tigris river while it was in flood. Sa'd has thus gone down in the annals of history as the Hero of Qaadisiyyah and the Conqueror of Ctesiphon. and in it I desire to meet God Almighty."